The building accommodates several dental practices as well as dental education facilities, a 12 chair clinical skills and laboratory, 5 training surgeries and a seminar room. The accommodation is grouped around a central courtyard. The most striking feature of the building externally is the cantilevered first floor that extends over the front entrance. This was achieved structurally by utilising a steel frame in this wing of the building allowing the steel floor beams to cantilever while being ‘tied down’ by the two-storey structure. The remainder of the building was constructed as a timber frame which offered the most cost effective solution. As with any dental surgery the integration of the specialist equipment, services and drainage was critical. The dentist chairs themselves are sophisticated pieces of equipment requiring power supply and drainage. 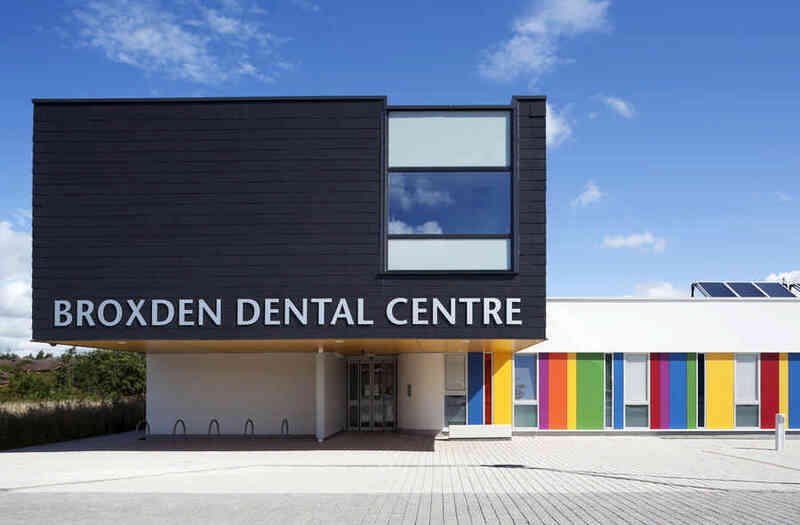 The building is now required as exemplar of dental facilities in Scotland and was nominated for numerous awards.